Applications are invited from suitable qualified candidates for admission to Tertiary Institutions in Nigeria for the 2017/18 academic session. The period of sale /registration for UTME is from Monday 20th march to Wednesday 19th April, 2017. Jamb 2017 registration fee: Registration fee for the 2017 unified tertiary matriculation examination or direct entries is five thousand naira (N5000 only). Candidates are also as usual to pay five hundred (N500 only) to obtain the ready text –“In dependence” for UTME candidates and “The last Days at Forcando High school” for direct entry candidates. Candidates should note that E-pins being purchase are tied to individual profile and not transferable. Candidates are advice to keep as confidential their security details such as registration number, password/numbers of ATM cards, email address and E-pins. The registration closes on Saturday 22nd April, 2017. For direct entry, the application will be on sale from Sunday 23rd April, 2017. The date and the venue for the 2012 unified Tertiary matriculation examination (UTME) will commence on 6th may, 2017 (excluding 12, 2017) because of candidate sitting for WAEC Further mathematics examination. The venue for the examination will be at any centre in the candidates chosen examination town. The board will mount a mock examination in all the accredited CBT centres to prepare CBT candidates and familiarize them with the CBT environment. Interested candidates are advised to indicate their interest in the mock examination during the registration process. CBT centres are allow to collect through their CBT centres bank account, a separate seven hundred naira (N700) only for this exercise after notification of centres has been received by the candidate. Check out this: 2016/2017 UNN Nsukka Admission Cut-off Mark – complete list! Jamb 2017 will be hard compared to JAMB written so far. 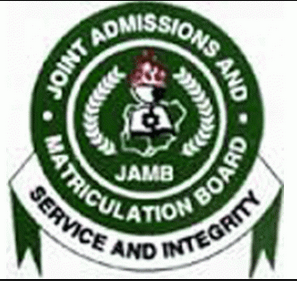 The new JAMB syllabus will be approved this year. Any aspirant reading JAMB past questions should stop and purchase JAMB’s new brochure. It was also announced that each candidate will put a good passport photograph not black and white and thumb print before entering examination centres. It was also announced that result will be sent to each candidate 9 hours after exam via e-mail. Ensure to register with a correct e-mail during registration. 2017 JAMB registration will last for one month, starting from the 20th of March till the 19th of April. Direct entry registration begins shortly after. Examination questions will vary per candidate. Agricultural Engineering: Use of English, Mathematics, Physics and Chemistry. Biological Sciences: Use of English, Biology, Chemistry and Physics or Mathematics. Chemistry: Use of English, Chemistry and two of Physics, Biology and Mathematics. Industrial Chemistry: Use of English, Chemistry, Mathematics and any of Physics/Biology/Agricultural Science. Fisheries: Use of English, Chemistry, Biology/ Agricultural Science and any other Science subject. Surveying and Geoinformatics: Use of English, Physics, Mathematics, and any of Chemistry, Geography, Art, Biology and Economics. Statistics: Use of English, Mathematics and any two of Physics, chemistry, agricultural science and economics. Microbiology: Use of English, Biology, Chemistry and either Physics or Mathematics. Botany: Use of English, Biology, Chemistry and any other Science subject. Agriculture: English, Chemistry, Biology/Agriculture and any one of Physics and Mathematics. Agricultural Economics: English Language, Chemistry, Biology/ Agricultural Science and Mathematics. Agric-Extension: English, Chemistry, Biology/ Agricultural Science plus Mathematics or Physics. Agronomy: English, Chemistry, Biology or Agriculture and Physics or Mathematics. Animal Production and Science: Use of English, Chemistry, Biology/Agric Science and Physics/Mathematics. Crop Production and Science: English, Chemistry, Biology/Agriculture and Mathematics or Physics. Soil Science: English, Chemistry, Biology or Agricultural Science plus Mathematics or Physics. Forestry: Use of English, Chemistry, Biology or Agriculture and Physics or Mathematics. Civil Engineering: Use of English, Mathematics, Physics and Chemistry. Chemical Engineering: Use of English, Mathematics, Physics and Chemistry. Computer Engineering: Use of English, Mathematics, Physics and Chemistry. Electrical Engineering: Use of English, Mathematics, Physics and Chemistry. Electronic Engineering: Use of English, Mathematics, Physics and Chemistry. Marine Engineering: Use of English, Mathematics, Physics and Chemistry. Mechanical Engineering: Use of English, Mathematics, Physics and Chemistry. Metallurgical and Materials Engineering: Use of English, Mathematics, Physics and Chemistry. Petroleum and Gas Engineering: Use of English, Mathematics, Physics and Chemistry. Systems Engineering: Use of English, Mathematics, Physics and Chemistry. Structural Engineering: Use of English, Mathematics, Physics and Chemistry. Production and Industrial Engineering: Use of English, Mathematics, Physics and Chemistry. Architecture: English, Physics, Mathematics, and any of chemistry, geography, art , Biology and Economics. Quantity Surveying: Use of English, Physics, Mathematics, and any of Chemistry, Geography, Art, Biology and Economics. Urban and Regional Planning: English, Mathematics, Geography and one of Economics, Physics, and Chemistry. Dentistry: Use of English, Chemistry, Biology and one Science subject. Medical Laboratory Science: English Language, Physics, Chemistry and Biology. Economics: Use of English, Mathematics, Economics and any of Government, History, Geography, Literature in English, French and CRK/IRK. Mass Communication: Use of English and any three from Arts or Social Science subjects. Sociology: Use of English, Three Social Science or Arts subjects. Political Science: Use of English, Government or History plus two other Social Science/Arts subjects. Religious Studies: Use of English Language, CRK/IRS and any two other subjects. International Relations: Use of English, Economics, Literature- in English and Geography/Government / History. Business Management: Use of English, Mathematics, Economics and one other subject. Cooperative and Rural Development: Use of English, Mathematics, Economics plus one other subject. Tourism: English, Mathematics, Economics and any other subject. Marketing: Use of English, Mathematics, Economics plus one other relevant Subject. Arabic and Islamic Studies: Use of English, Arabic and Two subjects from Arts and/or Social Sciences. Christian Religious Studies: Use of English, Two Arts subjects including Christian Religious Knowledge and any other subject. Theatre Arts: Use of English, Lit. in English and two other relevant subjects. Linguistics: English, Two relevant Arts subjects and any other subject. English and International Studies: Use of English, Literature in English, Government or History or any other Arts subjects. French: English, French and any other two subjects from Arts and Social Sciences. Igbo: English, Igbo and two subjects from Arts and social Sciences. Mass Communication: Use of English, Any three Arts and Social Science subjects. Religious Studies: English, CRK/IRS and any two other subjects. Yoruba: Use of English, Yoruba and two other subjects in Arts or Social Sciences. Criminology and Security Studies: English, Economics, Government, and any one of the following: History, Geography, Literature in English,‎ French, IRK, Hausa. I wish all 2017/18 UTME Candidates success! For further information, you can visit the official jamb website or you can use the comment box below to ask any questions.